Over the next several issues, Vital is going to give you a chance to meet the team at POET. They are the heroes of our company and of our industry. Their day job – and for some, over-night job – includes producing ethanol. But it’s more than that. It’s a passion for this American fuel and the ag communities they reside in. It’s a better future for their kids and grandkids. So let’s start at the beginning. To produce corn ethanol, we need… corn. You guessed it. 500 million bushels of corn are needed to produce the 1.6 billion gallons of ethanol that POET blends into the fuel supply every year. That’s nearly 4 percent of the U.S. corn crop and enough corn to fill the Dallas Cowboys Stadium six times over. The task of procuring those 500 million bushels falls on the shoulders of the commodities team at the POET’s 27 biorefineries. This may seem a daunting task to some, but the commodities team at POET is some of the best in the industry. And they take this in stride. The commodities team is the face and the personality of POET. They are your friends and neighbors. And they like to get a little flack for their most recent radio ads. You thought that voice was familiar, didn’t you? The commodities team includes commodity managers, supervisors and assistants as well as grain buyers and scale masters. Each has their own responsibilities and challenges. Though, you might think POET’s commodity team would have a single focus – buying corn – it’s much more than that. The commodity managers will tell you it’s not about buying corn. It’s about building relationships. And it’s not just a few dozen farmers or even a few hundred farmers. The commodities team across all POET locations signs contracts and builds relationships with over 20,000 farmers. These farmers need to trust that each commodities team member they interact with is truthful and giving them their best possible deal. And POET, says Ronken, sets the tone. “Farmers know if they want to haul corn today, we’ll be here,” says Ronken, who worked in the grain elevator business for 20-plus years before joining POET in 1998. Ronken’s typical day starts as soon as he wakes up and checks the markets and calls his brokers. Once in the plant, he holds an early-morning meeting with his commodity team to focus on the day ahead, the week ahead, and long-term projects. The first delivery trucks – more than 300 on a fall harvest day – are already beginning to line up. And the phone calls – from farmers checking purchase prices and looking for market predictions and negotiating delivery contracts – are just beginning. Ronken, like other commodity managers, spends part of his day keeping an eye on the Chicago Board of Trade. “I monitor that continuously during the day and two or three times a night,” he says. He completes dozens – maybe hundreds – of transactions per day. 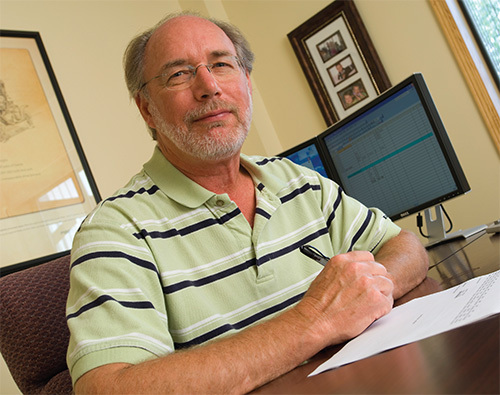 He also oversees inventory levels for the plant’s other products – ethanol, dried distillers grains, CO2, and corn oil. It was one of those “bring anything” days that, in 1997, led to Schroepfer’s career as a commodity manager. Today, Schroepfer oversees a plant with annual numbers that mirror the average POET biorefinery – 20 million bushels in; nearly 60 million gallons of ethanol out. Mike Knueven, a “farm kid with ag in [his] blood,” took over as commodity manager for POET’s plant in his hometown of Leipsic, Ohio in 2007. While Knueven points to the technical aspects of a typical day – things like the checking and balancing of the grain position and the output of the plant processes – he says communication is a key component. 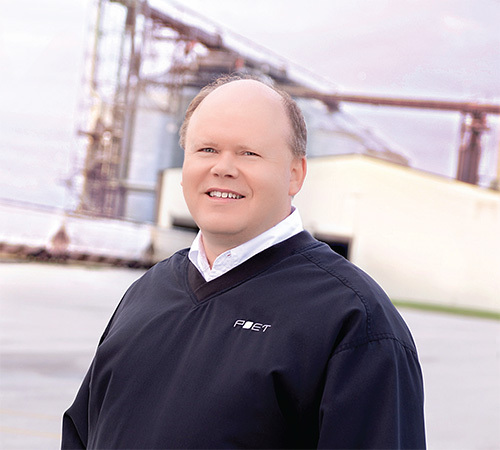 After 10 years with Archer Daniels Midland, Gerhold took over as Commodity Manager for POET in 2001 in a move that brought him close to the crop and cattle farm where he grew up. Gerhold’s Mo. location, in itself, is atypical by POET’s standards. Without the centralized, large-scale corn-growing found near POET’s other biorefineries, Gerhold’s team buys corn from farmers up to 100 miles away, twice the reach of most POET plants. 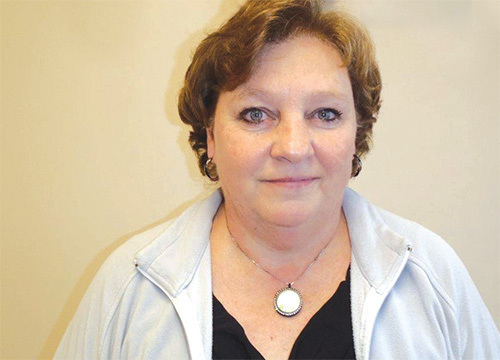 The commodity team, says Gerhold, personifies one of POET’s mottos: embrace change. “There’s something new here every day – a new thought or a new piece of equipment or a new process,” he says. “You’re going to get change whether you like it or not, so you may as well be in on the process. You have to be able to deal with the days where you have to go above and beyond.” For the team, even those “above and beyond” days are taken in stride. While Gerhold says his job entails everything from walking the plant to “covering the scale when the scale man can’t,” the one daily constant he embraces most is the art-meets-science of predicting market direction. “If we can help our corn customers get more money through good marketing decisions, we’ve taken the money from Chicago speculators and put it in the farmer’s pocket,” he says. For Ronken, change is the one constant for commodity managers. In some ways, though, not much has changed. It’s a big job to make sure each plant has enough corn to keep the plant running 24 hours a day 365 days a year. To determine the area’s market price, the team must be proficient in local market’s supply and demand by working with local farmers to understand the size of the farms and their storage. They also must evaluate the surrounding local grain elevators to determine how much they buy and store throughout the year. Who’s on a typical Commodity team? POET buys grain from over 15,000 farmers. 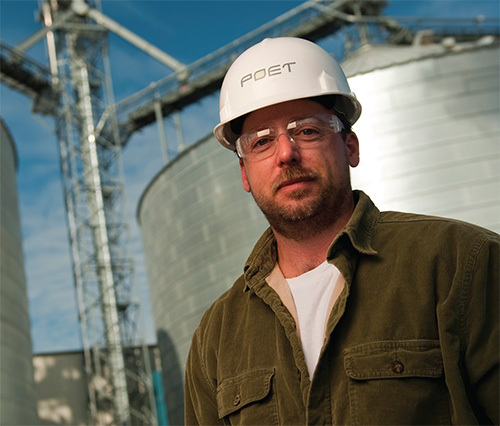 POET enters into over 80,000 grain buying contracts per year. About 600,000 semi loads of grain are delivered to POET plants each year. That’s about 100 truckloads of grain per plant each and every weekday.